Polyamines are aliphatic cations with multiple functions and are essential for life. Cellular polyamine levels are regulated by multiple pathways such as synthesis from amino acid precursors, cellular uptake mechanisms that salvage polyamines from diet and intestinal microorganisms, as well as stepwise degradation and efflux. 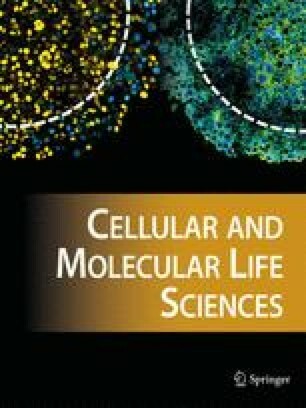 Investigations using polyamine biosynthetic inhibitors indicate that alterations in cellular polyamine levels modulate normal and cancer cell growth. Studies using transgenic mice overexpressing polyamine biosynthetic enzymes support a role of polyamines in carcinogenesis. Many, if not all, signal transduction pathways intersect with polyamine biosynthetic pathways and the regulation of intracellular polyamine levels. Direct binding of polyamines to DNA and their ability to modulate DNA-protein interactions appear to be important in the molecular mechanisms of polyamine action in cell proliferation. Consistent with the role of polyamines as facilitators of cell growth, several studies have shown their ability to protect cells from apoptosis. However, polyamines also have a role in facilitating cell death. The basis of these diverse cellular responses is currently not known. Cell death response might be partly mediated by the production of hydrogen peroxide during polyamine catabolism. In addition, the ability of polyamines to alter DNA-protein and protein-protein interactions might be disruptive to cellular functions, when abnormally high levels are accumulated due to defects in polyamine catabolic or efflux pathways. A large body of data indicates that polyamine pathway can be a molecular target for therapeutic intervention in several types cancers. Inhibitors of biosynthesis, polyamine analogues as well as oligonucleotide/polyamine analogue combinations are promising drug candidates for chemoprevention and/or treatment of cancer. Key words. Polyamines; cell cycle; apoptosis; breast cancer.